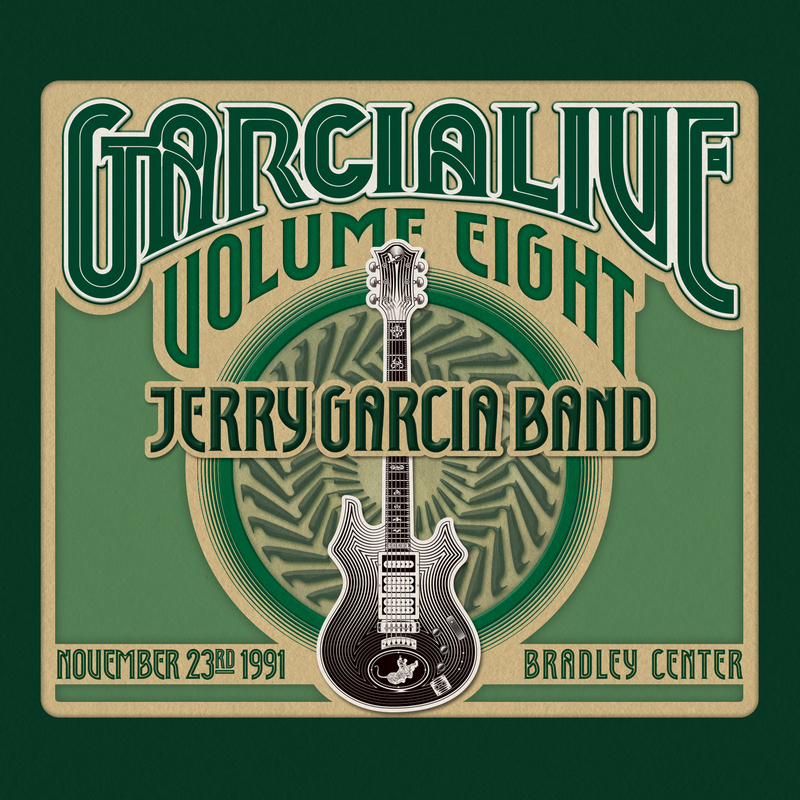 This show has been officially released as "GarciaLive Volume Eight: November 23, 1991 Bradley Center". Was SO happy to learn this was released as a 2 CD set. Took me about 2 mins to order it once I found out! Like a line out of Blues Brothers we had $23 dollars, a tank of gas in a chevette, about 1100 miles from home and snow. 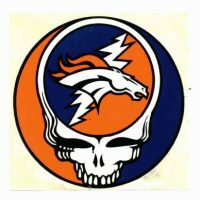 This was the last stop of my JGB tour which took us from the Landover, MD to Hampton, VA to Philly then Chi town and finally St.Paul. It was cold & snowy but we all hung out at shakedown in a parking garage across the street till showtime. “How sweet it is” I thought as I finally made it in out of the cold. The “Cats” opener warmed everyone up and we were off. A smokin “Lay Down Sally” “Rubean&Cherise” & “Money Honey” made a awesome first set. Opening the second set with “Bright side of the road” made me grateful I made the long strange trip and I wasn’t let down as we rolled our way through “breadbox” and finally “Tangled up in blue”. Phenomenal. Though we slid off the road a couple times and had to “spare change” in a truck stop in PA I was home with some great memories that would last me a lifetime. Thanks for releasing this show. This show was magical! Fantastic set-list and very intimate. Incredible post-show party in the parking garage where the gas was flowing and a serious marshmallow fight broke out amidst a beautiful snow storm. Pure joy among family. 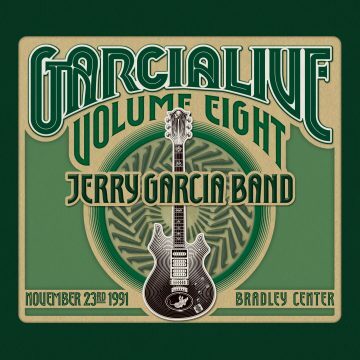 Perhaps my favorite JGB show. Thank you for releasing as Volume 8….great choice! That breadbox riff played over and over in my head for a week. Such good times. This and Rosemont. Rosemont and Bradley back to back,ended up meeting a friend buying tickets. 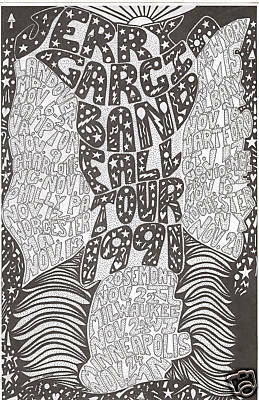 I was there with wife, eighth row center. Wife was huge EWF fan, so Shining Star blew her into orbit. What a set list. I had recently been promoted to management for City, and the freaking Mayor (Norquist), was in front row directly in front of me, and I was tripping balls! Yes I was. Freshly married in Montana and driving back to Upstate NY to have a reception. 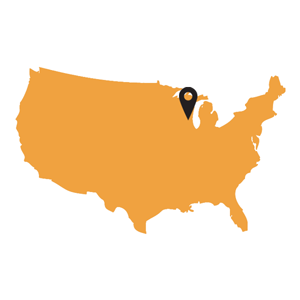 Planned our trip to hit this on the way. JGB turned that room into a church that night. Saw Planet Drum in Albany a few days later! Don’t remember the snowstorm but security took away my oranges. My one and only JGB experience. And a blizzard like no other. So GRATEFUL!